Here at Bridebook, the world’s leading free online wedding planner, we pride ourselves in bringing our brides-to-be the advice they need from experts they want – and who better to guide us through the wonderful world of wedding shoes than the one and only Jimmy Choo! We all know that the wedding dress traditionally gets the most attention pre and post-wedding. However, with Jimmy Choo offering a wardrobe of exquisite styles from traditional elegance to Hollywood glamour the shoes are no longer a second thought. 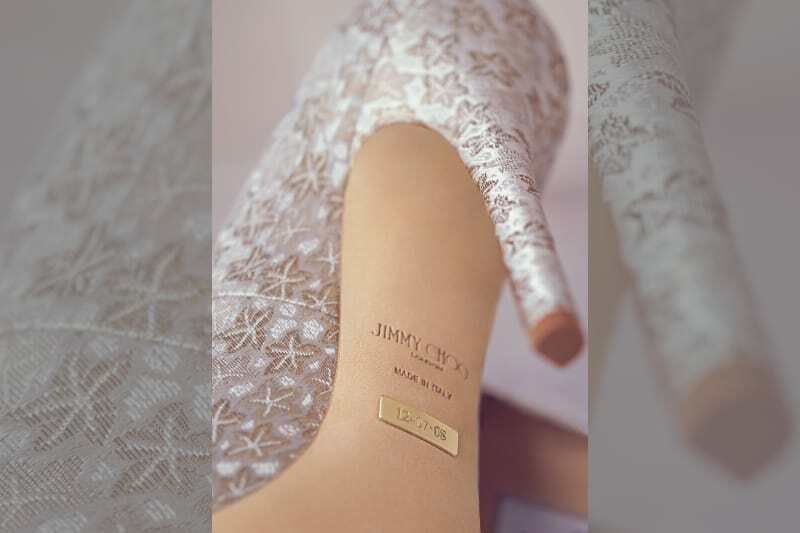 Jimmy Choo has long been the go-to shoe to accompany brides down the aisle and below is an overview of what makes the Jimmy Choo Bridal offering exceptional. Already have your shoes sorted? Why not check out Bridebook’s Q & A with legendary dress designer Phillipa Lepley for all the best dress tips, or Jo Malone’s guide to scenting your wedding? Bridebook has every detail covered! 2016 is the year to embrace couture detailing in your wedding shoes. Yes, classic is always beautiful and satin will never cease to embody the timeless bridal look. However, who can resist upping the style notch a little? Think an array of ethereal feathers, Swarovski crystals, lace, beading and glitter finishes for the perfect pair of statement, but complimentary, bridal shoes. Loving these Jimmy Choo shoes? 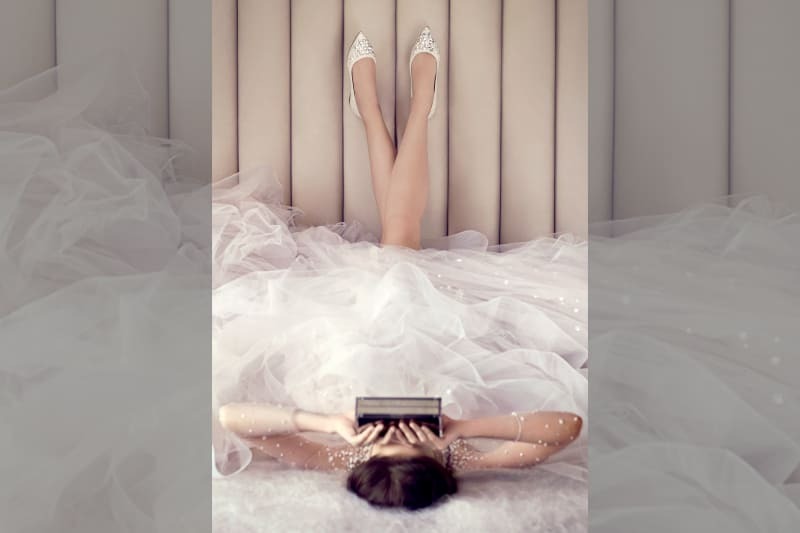 Book a bridal consultation through Jimmy Choo’s Bridebook profile! For brides looking for something exceptional, personalisation goes a long way in turning your wedding shoes into the ultimate keep-sake. Jimmy Choo’s Made-to-Order bridal shoes can incorporate monogram brass initials (perfect for you and your wedding party), or even a number plaque on the sole of each shoe to commemorate the wedding date. What if you find your perfect bridal shoe but it just doesn’t quite go with your dress? Not a problem! Jimmy Choo offers a special shoe re-colouring service to let you match it perfectly to your dress. Even better, re-colouring the shoe after the ceremony ensures the newly-wed can wear the shoes again. Check out all of the best bridal boutiques in your area using Bridebook’s innovative new supplier search! Finally, you can now capture the essential bridal shoe style without the classic, and sometimes inconvenient, heel. New styles see stunning sandals, pumps and flats stand on their own as an equally as gorgeous option no matter what your shoe preference is. Want more of Bridebook’s amazing wedding day inspiration? Book a bridal shoe fitting through Jimmy Choo’s Bridebook profile. Make sure your dream shoes fit in your budget with Bridebook’s state of the art budget calculator. Be blown away by Bridebook’s incredible real wedding selection – just like Natasha and Charles’ stunning summer wedding!